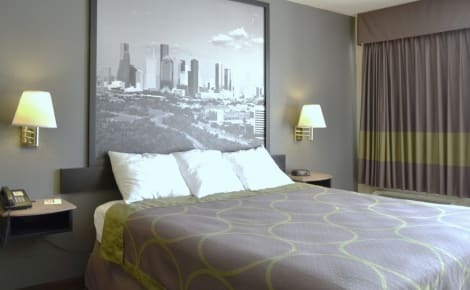 With a stay at Candlewood Suites Houston (The Woodlands) in The Woodlands, you'll be within a 10-minute drive of Hughes Landing and Cynthia Woods Mitchell Pavilion. This hotel is 10.6 mi (17 km) from Splashtown and 17.9 mi (28.8 km) from Sam Houston National Forest. Make yourself at home in one of the 120 air-conditioned rooms featuring refrigerators and flat-screen televisions. Complimentary wireless Internet access keeps you connected, and satellite programming is available for your entertainment. Bathrooms with showers are provided. Conveniences include desks and microwaves, as well as phones with free local calls.